All calls may be recorded for training, monitoring and quality purposes. Calls to 03 numbers cost no more than a national rate call to an 01 or 02 number and must count towards any inclusive minutes in the same way as 01 and 02 calls. These rules apply to calls from any type of line including mobile, BT, other fixed line or payphone. Calls to 0844 numbers cost £0.06 per minute plus your phone company's access charge. 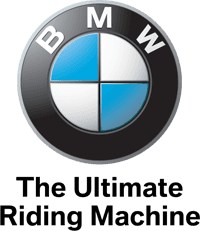 Here at Charles Hurst BMW we are keen to ensure that you are completely satisfied with all your dealings with us. If you are looking for more information on any of our new or used BMW motorcycles or services, would like to come to visit our Belfast showroom, or if you have any query at all we would be delighted to hear from you. Welcome to Charles Hurst Group. To optimise your experience, cookie settings on the website are set to allow all cookies. By continuing your journey throughout the website, you consent to this. You can change these settings here. © Lookers plc and various subsidiaries in the Lookers plc group 2019. All rights reserved. Users may download and print extracts of content from this website for their own personal and non-commercial use only. Unauthorised republication or redistribution of content, including by framing, spidering or similar means, is expressly prohibited. Lookers and the Lookers for you, for life logo, Charles Hurst and the Charles Hurst logo and Taggarts and the Taggarts logo are registered trademarks.